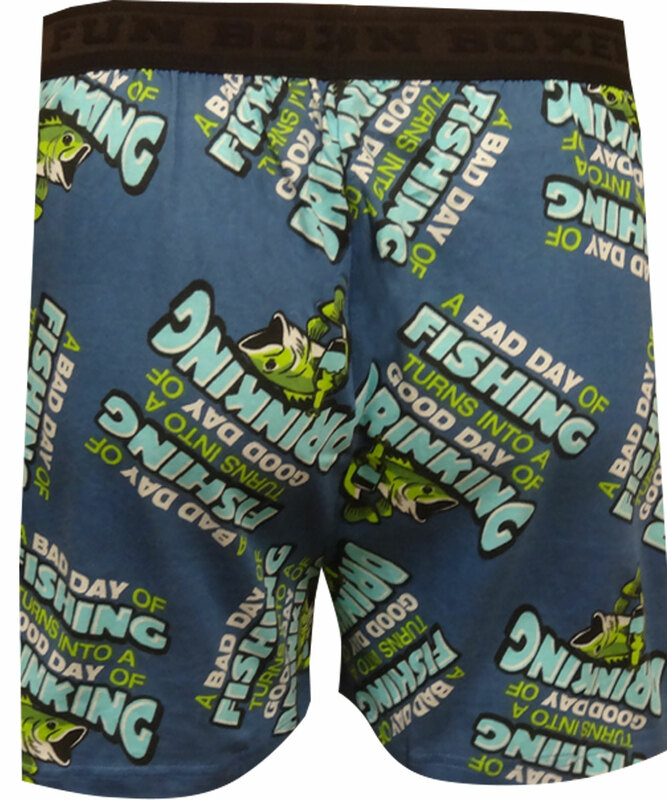 Description: Perfect for anyone who loves to spend the day fishing! 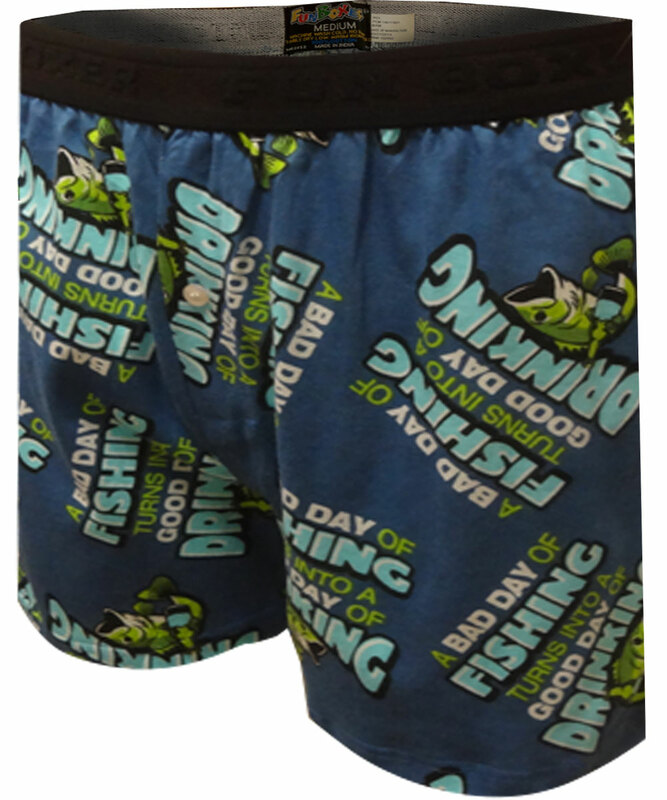 These boxers for men feature an all over fishy pattern and the phrase 'A Bad Day of Fishing Turns Into a Good Day of Drinking'. They are soft 100% cotton knit with a button fly. Machine wash.